Could it be possible to put together the equivalent of a bachelor’s degree in Biology entirely through free massively open online courses (MOOCs) offered by top tier universities? Lately I’ve entertained ideas of going back to school for a PhD in Biology. Most programs require that you have the equivalent of a B.S. in Biology, but… I don’t have that. In fact, I never took a single biology course in college. I didn’t even take biology in high school! Money-wise, many PhD programs cover tuition and provide a living stipend. However, not working and paying potentially hundreds of thousands of dollars out of pocket for a second bachelor’s degree in order to even qualify to apply is not a viable option. I was already a biology MOOC enthusiast, so I decided to see if I could take it to the next level and put together an entire undergraduate biology program with MOOCs. At the time of writing I’ve personally completed about 80-90% of the courses on this list, and even had the opportunity to serve as a Community Teaching Assistant for one of them–Useful Genetics. Why would someone with no formal background in biology want to go back to school for a PhD in it? Since my mid-20s I’ve been progressively more interested in health. Like most people, I got my information second-hand from books and blogs published by various health gurus and experts. One question I constantly ask myself is, “how can I take what I’m doing to the next level?” And to me it seemed the next level was to read the primary literature itself (i.e., the research papers referenced in the books and blogs). I tried, but much of it was utterly incomprehensible to me. Often I’d see study reviews talk about studies being good or bad for this or that reason, and I didn’t fully understand why. Were the criticisms legitimate? Did the results of the study simply violate whatever preferred bias was held by the reviewer? Eventually I became fascinated by emerging technologies like CRISPR/Cas9* (genome editing) and iPS Cells (restoring cells to a stem cell-like state) that hold promise to revolutionize treatment of ailments that are virtually invulnerable to current treatments. This marked a shift from simply wanting to read and understand medical literature to being interested in doing research myself and being part of the development of cutting edge health technologies. * Quick shoutout to former AP Chemistry classmate Feng Zhang who may be in the running for a Nobel prize for revolutionary work on CRISPR/Cas9. 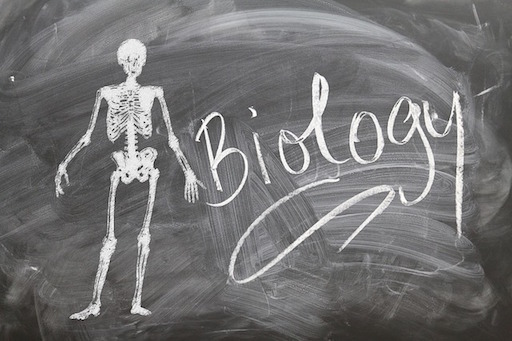 This biology curriculum is based on the Stanford undergraduate biology degree requirements. Why Stanford? Because that is where I did my undergraduate degree, and it is the university whose curricular structure I am most familiar with. While many universities offer recordings of their actual course lectures online through YouTube, this program primarily leverages MOOCs that more closely emulate the classroom environment by providing assignments, exams, and interactions with course staff through message boards. Although for some requirements–notably organic chemistry–where MOOCs simply are not available, the requirement is “fulfilled” by a YouTube lecture series. I did the best I could to match courses in the Stanford biology degree requirements to their exact MOOC counterparts. However, curricula and courses vary from school to school so often the match is only an approximate one. Unfortunately, there is just no good self-study way to replicate lab courses. Some of the MOOCs have very elaborately designed digital labs (notably MIT’s Introduction to Biology – The Secret of Life), but you won’t be able to do any actual wet biology. There are many different ways to organize a biology degree curriculum depending on both your interests and goals. This curriculum skews towards human biology, statistics, and genomic data analysis–key skills for interpreting health-related research. Many other electives could have been chosen, and you can browse the course offerings on Coursera and edX to see what else interests you. I have also taken many great MOOCs not on this list. Note that the equivalent on campus courses are often split into 2 or 3 parts when they are converted into MOOCs, so at first glance the course list may look deceptively long. If you discover a broken link, please let me know and I’ll try to find where it has moved or a replacement course. Either Introduction to Chemistry or eCHEM 1A. Though eCHEM 1A doesn’t offer assignments, it is highly recommended viewing. It may be the best taught introduction to any subject ever. Either Chemistry 51 or Khan Academy’s Organic Chemistry. Chemistry 51 follows the Janice Gorzynski Smith textbook. Organic chemistry requires a lot of learning by doing, so I recommend doing the end of chapter exercises. Khan Academy is perhaps a more “Organic Chemistry Lite” experience, which may be preferable depending on your time and interests. Many of these courses allow you to purchase an optional verified certificate of completion. While I think the real world value for these certificates is still very much an open question, please do support the universities offering these fine courses if your finances allow. If you have any questions about this curriculum or suggestions to improve it, please leave them in the comments. I’m just starting on this same track- just started a basic chem course last week. It’s so nice to have this all laid out as a starting point for my studies! Thank you! And I look forward to seeing how your studies go as you hopefully begin the doctorate. A lot of folks have been asking about similar course lists for math, physics, etc. I don’t know of any pre-made lists off hand. That said, universities often list their degree requirements on the department homepages. I’d start there and do your best to match up the degree requirements with what MOOCs you can find online. That’s basically how I put together the Bio curriculum. If you find anything ready-built, feel free to post it here in the comments. Statistics. Absolutely necessary for understanding and/or conducting any kind of research. I would also seriously encourage any students to take a look at the computer science curriculum link. Otherwise a great resource, I’ll definitely take a closer look when I have time. I’m currently watching RiceX: BIOC300.1x Proteins: Biology’s Workforce (https://courses.edx.org/courses/course-v1:RiceX+BIOC300.1x+2016_T1/info) and have found it useful. That’s another MOOC I’ve been meaning to get to when I have time. There is a lot of overlap with HarvardX’s Principles of Biochemistry, but POB is so chock full of information it would be good to cover it again from a slightly different angle. I’ve looked at Principles of Biochemistry too, and it seems to cover pretty much the same ground as my biochemistry lecture course did. Proteins: Biology’s workforce has been filling in some holes though, and I’ve had some pretty helpful flashbulb moments. As far as doing “wet” labs, I would suggest finding a Maker Space that has a Bio Lab or find a Biopunk Space near you. Often times they have basic equipment and can help with the hands on lab practice. Thanks for bringing this all together, Brian. I hope you will consider adding this lecture series to your course recommendations — post completion. In 2012, despite 50,000 hours testing experience in medical laboratories, I had never heard of microRNAs. What I’ve learned about them links the nutrient-dependent microRNA/messenger/RNA balance to every aspect of biophysically constrained RNA-mediated protein folding chemistry in all living genera via the physiology of reproduction. Great post! And thanks for the shoutout to aGupieWare. The bio materials are beyond my own purview, but very glad to see the idea of formalized DIY curricula is catching on. It really is amazing how much learning material there is online, and what can be put together with some hard work. Cheers! I hold a Master’s Degree in Cyber Security but I am fairly interested in biology and want to get a Bachelor’s in the field and see where I can go from thereon. This decision of mine has nothing to do with money but I want to work in the research area. Do you think this list of yours will help someone like me who has no background in Biology? Sure, no background required. It starts from the ground up. As I mentioned in my post, I’d never taken any bio courses prior to this. I would like to thank you so much for this curriculum! I’m designing my self-learning project for synthetic biology, and this is what I was looking for! I don’t have any background in STEM, and my goal is to contribute in syn bio companies with high positive impact for society, either from the start-up or VC side. 1- Moocs and other online resources, reading. 2- Hands-on, quick, practical learning experience in DIY labs. 3- Get involved//volunteer in syn-bio start ups. How is your learning project developing after the first few years of learning? Are you involved in any start-ups? Again, thank you very much for the curriculum, and for reading this post. hello and thank you! hurray for the internet and nice people posting about their solutions to various life conundrums. i am still a bit stumped: as i read your post, you didn’t earn an official degree? or did you? were you able to enroll in a graduate program? if so, which one? No, you won’t earn a degree from doing the courses as I’ve outlined. It’s just designed to replicate a bachelor’s equivalent in Biology as closely as possible with MOOCs. I ultimately decided (for now) against grad school and am pursuing other interests. Next post: Is The Paleo Diet Still Relevant? Learning a Foreign Language: How Good Can You Really Get? What Do You Really Know about GMOs?